Warrior Games 2017 – Special Report – REJ & Associates, Inc. 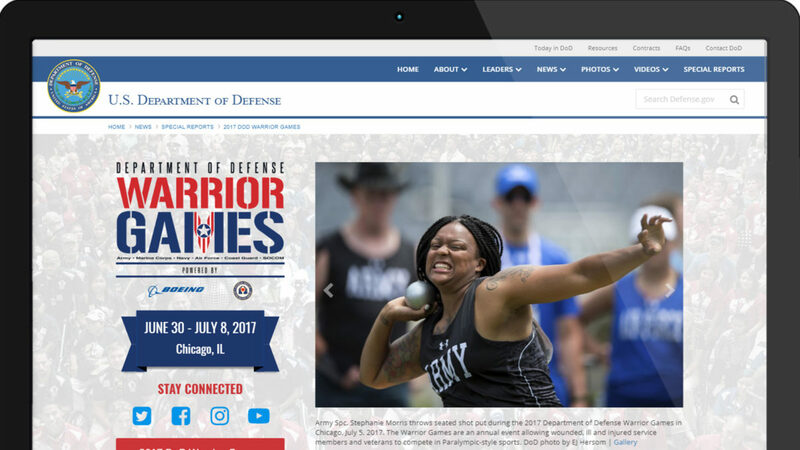 The 2017 Department of Defense Warrior Games feature eight sporting events with approximately 265 athletes representing teams from the Army, Marine Corps, Navy, Coast Guard, Air Force, U.S. Special Operations Command, as well as the United Kingdom Armed Forces and the Australian Defense Force. We create engaging visuals, content and strategies that connect you with your audience. Take a moment to tell us about your project – we’re ready to help! Copyright © 2019 REJ & Associates, Inc. All Rights Reserved.